Travelling to Germany has never been more organized and stress-free no matter what the purpose of your travel is. Due to Schengen Agreement reached in 1985, the citizens of the Schengen member states can travel visa free throughout the whole territory. On the other hand, nationals of non-Schengen countries are permitted to enter the whole area with one unified document known as the Schengen Visa. 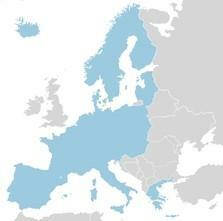 The main purpose of the Schengen is the abolishment of border control between member states, which allows free and equal access to the citizens of any of the below mentioned countries, including Germany. When in Germany, you are allowed to visit all the other members of the Schengen Zone: Austria, Belgium, Czech Republic, Denmark, Estonia, Finland, France, Germany, Greece, Hungary, Iceland, Italy, Latvia, Lithuania, Luxembourg, Malta, Netherlands, Norway, Poland, Portugal, Slovakia, Slovenia, Spain, Sweden, Switzerland and Liechtenstein. Nevertheless, there are always exceptions to the rule. Depending on your nationality you may, or may not be required to obtain a Schengen visa first in order to be permitted to enter the Schengen Zone, and Germany at the same time. The short-stay Schengen visa allows its holders to enter and reside in Germany for a maximum period of 90 days (3 months) within a 180 days period. However, during this time you are not entitled to engage in paid activity. Here you will understand whether you need a visa to enter Germany, and if yes, how to apply and obtain one. This is the first question that should pop up to your mind when you decide to make a trip to Germany. Currently the citizens of 62 countries can enter Germany visa free for the purpose of tourism / visiting and business doing, for periods shorter than 90 days within a 180-day period. If you are not a national of any of these 62 countries that have established a visa-free regime with the European Union, then you will need to obtain a visa first, in order to be permitted to enter Germany. On the other hand, even if you are a passport holder of any of these countries, but your purpose is other than tourism or business, and you need to remain in Germany for more than 90 days within a 6-month period, then you will still need to obtain a visa. Depending on the purpose of your travel to Germany, there are different types of visas that will apply to your situation. Whether you are planning to visit Germany, study or work or even to settle there permanently, you will have to apply for a different Schengen visa, accordingly. Tourist & Visitor Visa – for people who wish to enter Germany with the purpose of visiting friends or relatives, or to just sightsee and experience the country and its culture. Family Reunion Visa to Join a Relative or a Partner – which is a visa for family members of German residents, who wish to join them in Germany. Job Seeker Visa – gives to its holder the opportunity to come to Germany and seek a job. Studying & Language Learning Visa – for foreigners who wish to enter the country with the sole purpose of attending a language course or to continue their studies at an educational institution in Germany. Working Visa – for people who have gotten a job in Germany. Business Visa – for business people that need to remain in Germany for a period longer than 90 days within 6 months, with the purpose of making business. Airport Transit Visa – which is required for a very limited number of third-world nationals, that need to pass through one of the German airports in their way to their final destination. Guest Scientist Visa – for scientists or researchers who have been invited by an institution to carry out a study or research. Training/Internship Visa – is a visa that gives the opportunity to attend a training or internship to nationals of third-world countries. Trade Fair & Exhibitions Visa – for people who are planning to participate at a trade fair or exhibition. Visa for Cultural, Film Crew, Sports, and Religious Event Purpose – for people who are planning to enter Germany, under the purpose of participating at a Cultural, Sports, and Religious event or as part of a Film Crew. Although a unified document, requirements for obtaining a Germany Visa differ from one Schengen country to another. Germany however is quite demanding on the issue, and it is recommendable to fulfill each request meticulously to the last detail. Usually the Germany embassy in each country has an updated checklist of the Germany Visa requirements for each type of visa. Application Form – duly completed with correct and honest answers that comply with the information in the other required documents. Do not forget that you can download the Germany Visa Application form right here in our website. Health Insurance – a document that confirms you have obtained travel health insurance that covers illnesses and accidents, and even repatriation in case of death, as well as the whole Schengen Area with a minimum coverage of € 30.000. Proof of Financial Means – which is a document that proves you have the amount of money to finance yourself during your planned stay in Germany. This can be a recent bank statement that shows you have enough funds to spend at least 45€ per each day spent in Germany. If proof of own financing is not possible, the applicant can submit a formal declaration of a third person who is willing to finance their travel and stay in Germany alongside with proof of their financial means. Depending on your visa type and in some cases on your country of residence and nationality, there are also other Germany visa requirements which you will need to submit as required by the embassy or consulate where you will be applying in your home country. Applying for the Schengen visa includes a sequence of events in-between yourself and the designated Embassy, in this case German Embassy in your home country. Between handing the proper documentation and getting an answer, here is a step-by-step guideline of the Germany visa application process. Ask the embassy for a checklist of the required documents for your visa type you wish to apply for. Fulfill the application form with correct information and obtain the required documents for your visa. Appoint an interview at the German embassy in your country of residence. The earliest you can schedule the appointment is three months prior to your trip. Pay the visa fee and save the receipt in order to show it later to the consular officer during the interview. Show up on time at the embassy for your meeting with all the required documents with you arranged in the given order. The meeting will last around ten minutes, during which the consular officer will look at your documents and ask you a few questions regarding your background and purpose of your trip to Germany. Germany Visa fees differ depending on the type of visa you are applying for thus the motif of your travel. The Germany and Europe visas in general are quite cheaper than visas to the US, Canada, or even India. Moreover, with a single visa you will be able to explore most of the old continent. In general, a Germany short-stay visa fee is EUR 60 whereas a long-stay visa is EUR 75. However, you should check it out since there are some visa fee exemptions for a few categories of applicants. It is a general rule that the German embassies around the world, which are the only competent bodies to assess the applications, shall process a German visa application for about 10 to 15 working days. There may be delays depending on the number of applications, or in some cases depending on the specific situation of the applicant. Who can apply for a Germany Visa from within the United Kingdom?